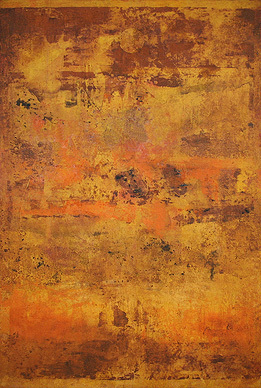 Vasudeo Gaitonde was born in Maharashtra of Goan parentage. He received his diploma from the J. J. School of Art in 1948. He died in 2001. Vasudev S. Gaitonde was regarded as one of the most finest and cloistered abstract painter of India. He was the member of the Progressive Artist Group Bombay.In 1971, he was awarded the Padma Shri i.e. the highest award for creative excellence given by the Government of India. Gaitonde experimented hugely with form and shape in his works. Vasudev had a profound influence of Zen philosophy and ancients calligraphy on him. In the midst of his art work, one could notice the control and the conglomerated structure finely depicted. Gaitonde preferred to enjoy a slow and a meticulous painting process unlike his contemporaries that is why he produced only a few finished works. Gaitonde's use of symbolic element and very few ground lines made his work appear like a flowing river. “The continual work of laying on pigment, dissolving it, stripping it off, and overlaying (like a process of nature) comes to a natural close as the pigmentation comes to a natural conclusion. The painter is at the controls, he decides when the painting has arrived at its capacity to articulate, yet he registers this intuitively: ‘Like music, I know when it is at an end’. So far his visual sensibility has been absorbed in the action of painting. Now it takes over and finalizes. He takes his time about this. He lives with the painting; views it continually” (Pria Karunakar, “V.S. 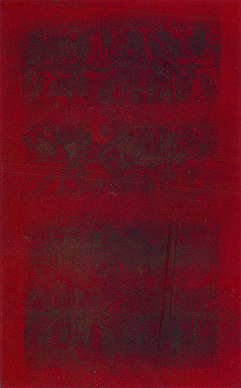 Gaitonde”, Lalit Kala Contemporary 19-20, Lalit Kala Akademi, New Delhi, 1975, p. 16). Like his other canvases of the 1970s, this large work mirrors the artist’s focus on process and precision, having been slowly developed through the studied application and partial removal of different layers of paint with a roller and palette knife. 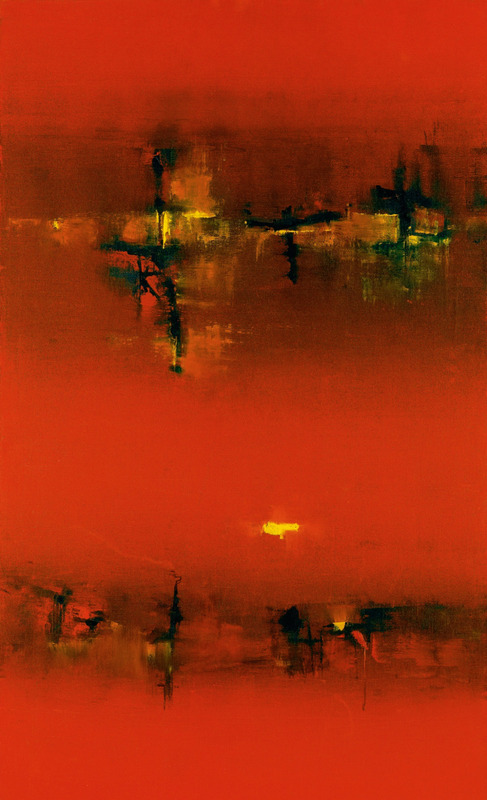 Here, Gaitonde creates a deep, almost smouldering crimson surface, traversed by several darker horizontals through which his script-like forms, like primitive and undecipherable hieroglyphs, seem to materialize and recede. 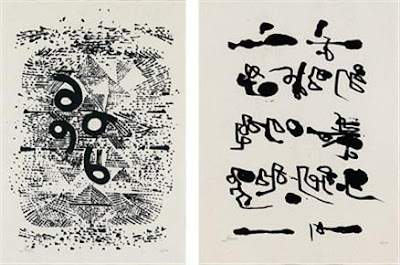 Vasudeo Gaitonde had not very large body of work, and seen as Indian Rotokho. The most talked about painting by Vasudeo. V S. Gaitonde sold at 237 million rupee, the highest fetched price for an Indian Artist at the Christie’s International Plc in Mumbai.